It's necessarry to note that a single measurement is not sufficient to establish the diagnosis of hypertension. The patient is hypertensive when their blood pressure levels present consistently above 139/89 mmHg. In our general text on hypertension (first link on the list above) it is explained in more detail how the diagnosis of hypertension is made. Not all uncontrolled hypertension is synonymous to resistant hypertension. Need for 2 or 3 different medications to control blood pressure is commonplace in medical practice. Resistant hypertension is defined only when it cannot be checked with at least three different antihypertensive drugs (preferably one being diuretic), i.e. every patient who needs 4 or more different drugs to make their blood pressure below 140/90 mmHg is considered as having hypertension difficult to control. It is estimated that about 15% of hypertensive patients have criteria for resistant hypertension. Note that it is necessary that the patient actually takes prescribed antihypertensives to characterize one as hypertension difficult to control. If the patient takes the drugs voluntarily wrong, going against what was prescribed, the pressure will remain high, not because it is tough, but because it is not being treated properly. Similarly, when treatment proposed by the physician is unsatisfactory or doses are insufficient or the choice of drug is erroneous, blood pressure can be uncontrolled which is actually a resistant hypertension. For example, a diuretic with no limitation to these patients is considered a treatment failure. In these cases simply setting the pressure for the treatment can be monitored under 4 different drugs. 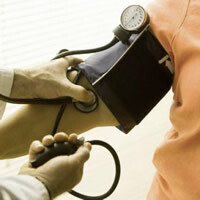 Some cases, which are considered difficult to control, are actually patients with so-called white coat hypertension. These are patients, who are so anxious during medical visits that their blood pressures, although well controlled at home, can rise at the time of measurement by the doctor, giving the false impression of not being properly controlled. The overwhelming majority of cases of hypertension is primary, or appears without an established cause. This means that the patient is hypertensive with no identifiable reason for the appearance of the disease. Hypertension with no apparent cause is called essential hypertension, which is responsible for over 90% of cases. To control blood pressure it is necessary to first make sure in some points, such as adherence to prescribed treatment and the absence of white coat hypertension. Eliminating drugs that may be interfering with the processing is also essential. 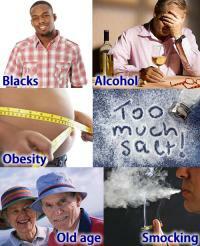 If so, the patient should stop smoking, cut alcohol consumption, lose weight and start regular physical activity. The salt should be cut from the diet. 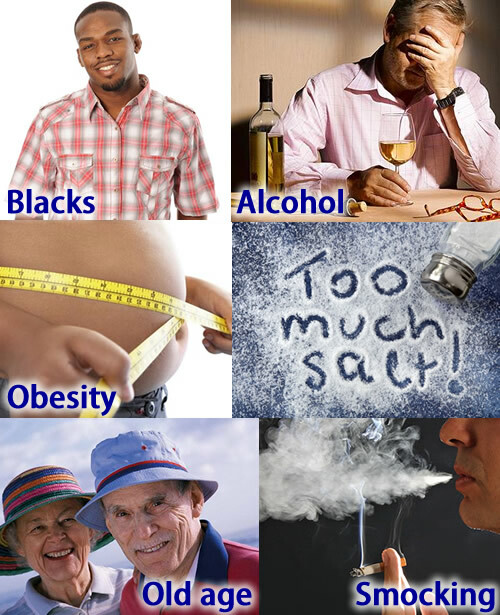 Western population of the world eats too much salt and is not aware of the fact. If all the above factors are corrected and blood pressure is still high, requiring at least 4 drugs for adequate control one must investigate secondary causes. Once identified a cause for hypertension, it should be treated. The latter drug is extremely potent, being able to control virtually all cases of resistant hypertension, but should be used with caution because it causes hypotension besides causing frequent side effects.